The cult following of American television shows like Ghost Hunters and Ghost Adventures has revealed a new interest in the unexplained. Suddenly it seems like it’s not quite so crazy to believe in ghosts. But are Americans the only ones who like chasing down things that go bump in the night? I decided to investigate the newest Paranormal Investigators to hit the screen… a bit closer to home. It’s already been established that I’m afraid of the dark. Sure I can potter around the odd graveyard or two by myself in full daylight, but as soon as the sun starts setting I usually hightail it with my tail between my legs to my lovely safe car… with the lights on… and the music blaring. Yes. I’m recounting last week’s trip to Old Picton Cemetery. To me the idea of walking around in the pitch darkness and chasing shadows in a 150 year old gaol, or an abandoned asylum seems absolutely crazy. For some, though, it’s exactly how they love to spend a Saturday night. And then, there are people like WSPR… who stride into the dark deliberately seeking the deepest, creepiest corners you could imagine… and then poke around a bit and see if they can stir anything up. I was lucky enough to have the chance to speak to Craig Powell, the co-founder of Western Sydney Paranormal Research (WSPR). WSPR is a group of 11 Paranormal Investigators whose hobby it is to chase down the things that live under the bed and make noises in the attic. Their purpose is to document evidence of the existence of paranormal entities and help clients gain some sort of knowledge about what – or who – they may be dealing with. Mainly, though, they seek to bring this knowledge and understanding of the paranormal to everyone. Whether it’s a private residence having a problem with strange knockings or a general investigation of a 130 year old asylum, these guys are most definitely not afraid of the dark. As a team they have investigated countless private homes, as well as more notorious public locations such as The Oaks Historic Homestead, Maitland Gaol and Callan Park Mental Hospital. They were even part of a live investigation at The Hero of Waterloo Hotel which was featured on 2DayFM on January 13th 2012. Armed with an arsenal consisting of EMF (Electro-Magnetic Field) detectors, digital voice recorders, SB7 Spirit Boxes and a psychic or two, they willingly march into the darkness in the hopes of understanding one of the great mysteries of life; is there life after death? And document it they do! Aside from audio clips and photos on their website (http://www.westsydneyparanormal.org), videos of their exploits are regularly uploaded to Youtube in a serial fashion. Since 2010 they have clocked over 50 thousand views on their channel ‘WestSydneyParanormal’ and managed to catch the eye of the American producers of Bio Channel’s ‘My Ghost Story’. Craig and his partner Nicky (also a lead investigator of WSPR) were lucky to travel to L.A. in January to film an episode concerning their experiences for ‘My Ghost Story’. The series, which airs on Bio Channel through pay TV, is a collection of personal ‘ghost stories’ told by the witnesses themselves and backed up by whatever footage or evidence they managed to capture at the time of the happening. Craig’s own ‘ghost story’ happened in the historic Maitland Gaol, which is a favourite of the WSPR team. It concerned an incident where an inmate – believed to be the spirit of George Savvas – had left a mark indicating his method of death (which was by hanging) across Craig’s neck whilst fellow WSPR investigator Jared Weston filmed the event. The story, however, does not end there. Eerily enough, when the ‘My Ghost Story’ crew was shooting the ‘B-roll’ footage back in Australia during May, it seemed that the spirit also wanted his own airtime. Upon re-entering Maitland Gaol, the director of the shoot gave them instructions to recreate the scene for the show. Craig explained to him what had happened. I will admit that when I heard this story, my hair stood on end. Luckily happenings like this, when people are touched, are rare. Any other person – myself included – would take that as a cue to leave, but not WSPR. Now, after working in the dark for almost 3 years, Craig, his partner Nicky and the WSPRS crew are featured in their own version of reality tv; ghost hunting with local film-maker and friend Attila Kaldy in his newest independent film series. Paranormal Investigators: Phasmaphobia is being produced by Moonlark Media, a local film-making company run by Attila and his wife Andrea. They already have a few notches on their belt from series such as My Project UFO and PI: Paranormal Investigators. It was Attila’s own childhood experiences were what first prompted his interest in the explained. He received his first book on UFOs at the age of 7, which started the ball rolling. Attila has been working closely with WSPR for while, sharing time on and off camera whilst editing and producing his own work in the background. Phasmaphobia, as his newest realization, is something that Attila says will be unique to the genre of Paranormal Reality TV. So far production for the series is going full steam ahead. The spirits are compliant, the problems have been quite minimal, and they are not letting distance play any part in holding them back. A few weeks ago they travelled to an undisclosed country town 1.5 hours south of Sydney to film for the series in an old local pub. More recently, however, they finished an investigation at Jenolan Caves in the Blue Mountains in Sydney’s West. With apparently no shortage of potential sites to investigate, and an enthusiasm that knows very few boundaries, there seems to be nothing that can hold them back…. But is there a market for this in Australia? Attila believes there is. Although American television has helped promote discussion about the unexplained – spurred on by fan-based social media coverage – it can be a double-edged blade. Many of these shows have been rife with rumors of being staged or even fabricating evidence for views. Ben Hansen Tour 2015: Liverpool TAFE with APPI! Flavor of the month: Spirit Communication and the Charlie Charlie Challenge! PARACON 2015: A weekend of chills – and not just from the weather! 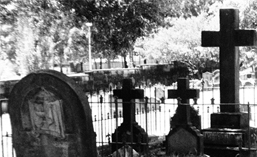 Ghosts of Casula – The Australian Paranormal and Spiritual Expo!